This season’s cult buys are steeped in the classics. 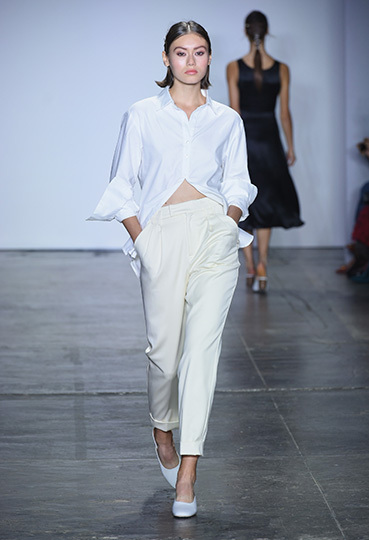 With the power to turn a pared-back outfit into a polished one, the white shirt is the stylish staple to be worn on repeat. But it doesn’t have to be archaic – find a slim-fit design with contrast piping or tie-neck detail, or both. It will elevate the basics already in your wardrobe – from skinny jeans to stretch-knit skirts. For day: Pump up the volume. Wear it with wide-legged trousers and mules for the office. After dark: Leave the neck tie undone and style it with berry-hued leather leggings and black heels – because, date night. We’re championing the edgier sister of the basic knit. It’s a borrowed-from-the-boyfriend jumper that will see you through the greyest days of winter, with ribbed detailing, strategic cut-outs and endless cosy appeal. It’s the updated knit that deserves a place in your wardrobe for the chillier months to come. For day: Pair it with skinny black jeans and over-the-knee boots for an easy, effortless finish. After dark: Tuck it into a bold-coloured midi skirt with a sweeping asymmetric hem. Style it with pin-thin stilettos. 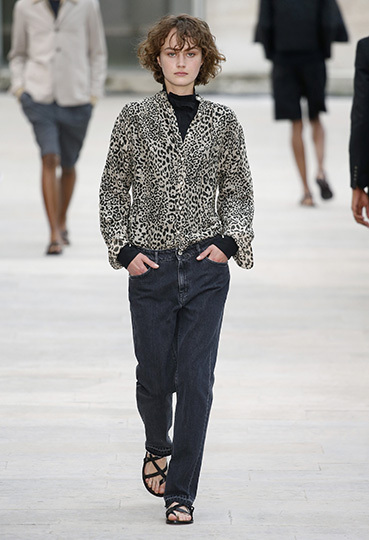 From leopard to zebra, animal prints have found their way back into the spotlight. And the best way to wear them is to think small, whether it’s a patterned belt or a fringed printed scarf. For day: A printed belt is a chic, no-frills way to add definition to a black shift dress or stretch-jersey jumpsuit for the office. After dark: A tiered black dress paired with a leopard-print box bag is just what a night on the town calls for. Soft, smokey eyeshadow is a must. Plaid, gingham, tartan: the checked skirt (and its many iterations) shows no signs of checking out, pun intended. Buy a checked tweed skirt with a billowy asymmetric ruffle now and love it forever. For day: Style it with a contrast-check blazer, a short-sleeved silk top and lace-up shoes. After dark: A tucked-in graphic tee is the perfect casual counterpart. Just add a bold lip and statement bag. Forty years on and still going strong, the wrap dress is an essential for every shape and size and a welcome break from the basic LBD. Invest in a silk-charmeuse wrap dress in teal or taupe. It will drape beautifully over the body. For day: Get creative. Layer a loose cream cashmere jumper on top and offset it with soft-pink boots. After dark: Go polished. Team it with barely-there sandals and an embellished clutch for cocktail hour.